The Dressmaker (12A). A glamorous dressmaker returns to her rural Australian home to prove that revenge is back in fashion. A glamorous woman returns to her small town in rural Australia. With her sewing machine and haute couture style, she transforms the women and exacts sweet revenge on those who did her wrong. It�s a melodramatic story of small town secrets, hates, lies and betrayals, whose victims are many but none so wronged as Tilly, played by Kate Winslet. It�s her story: she has a score to settle, and being a clever fashion designer these days, she does it in true female style - with a warring wardrobe. You could say she came (back), she sewed, she conquered. A black farce � tragic at times, but always witty and fun. 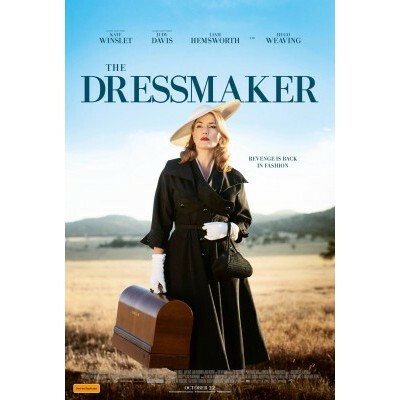 Syderstone Village Cinema - The Dressmaker (12A). A glamorous dressmaker returns to her rural Australian home to prove that revenge is back in fashion.